Mr. Central Florida catered by Lakeland BBQ Company! 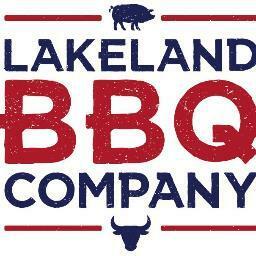 The 2016 Mr. Central Florida will be catered by Lakeland BBQ Company! It is going to be delicious and fantastic meal for a fun event! CFSHC receives second largest grant from The Harvey T. Hall Fund! Central Florida Speech and Hearing Center is excited to announce it has received its second largest grant in the Center’s history from the Harvey T. Hall Fund within the GiveWell Community Foundation. The funds provided will expand the Center’s services to children who have has cochlear implant surgery and require ongoing speech and hearing therapy. “This wonderful gift will allow us to provide the necessary services for children in our community that may not receive such specialized services because of transportation, financial reasons or other family stresses. It will allow us to maintain the necessary staff by being able to offer competitive compensation and build and maintain the program for many years. The Center provides services for many under or uninsured children who are waiting for speech, language and audiology services. As Medicaid funding decreases and more organizations are no longer taking these children, stress on our organization grows ever greater. This gift will be a life changer for many children in our community.” Says President/CEO, Roxann K. Bonta. We are so grateful for the support that the Harvey T. Hall Fund has given us throughout the years. With this support, we are able to give the gift of better communication to many for years to come.